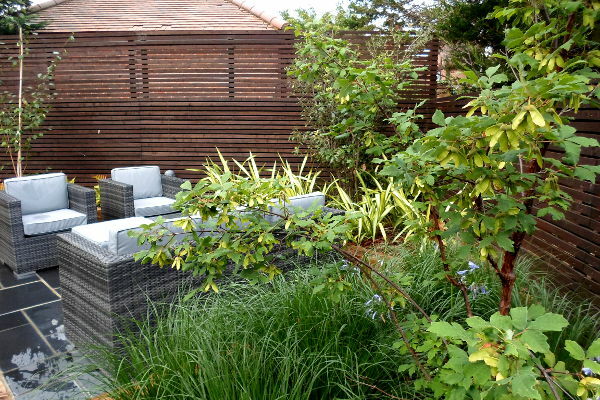 A complete transformation for this garden design and landscaping project in Esher Surrey. 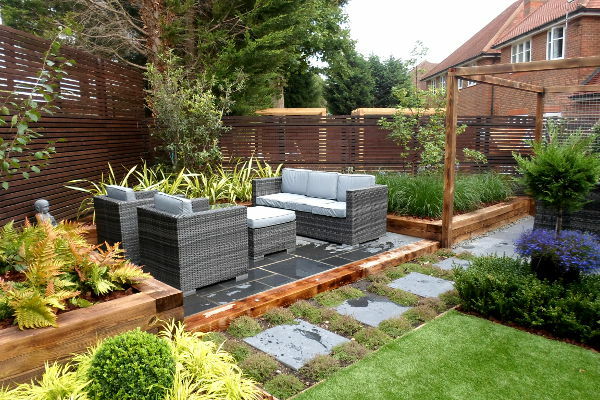 Being a young, busy family they wished to have garden that was low maintenance, child friendly with spaces to both dine and in future a more relaxed sofa area that could accommodate a log burning fire pit. 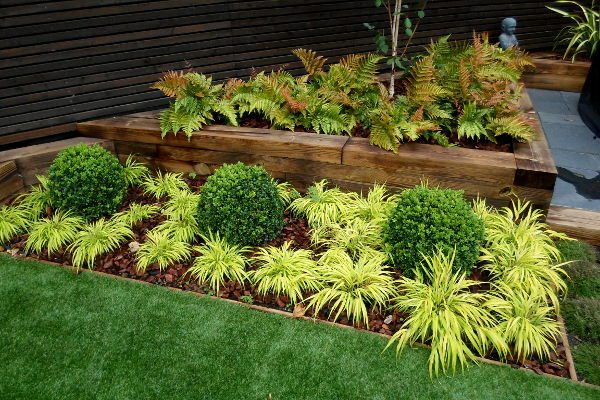 An odd shaped garden, the width much greater than the depth presented some challenges in fulfilling the clients wish list into the space whilst keeping the garden full of interest. 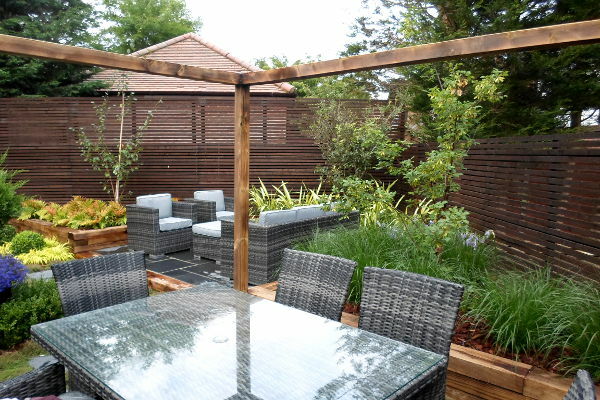 Rather than run to extra costs in replacing the stained fencing I decided to work with the colour and utilise the sleepers that were already in the garden. 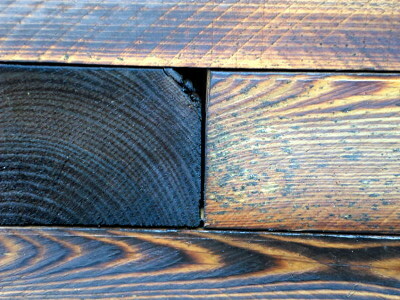 Rather than dispose of the existing softwood railway sleepers they were treated with an effect called ‘Shou Sugi Ban’. This is a Japanese art form of burning the wood. 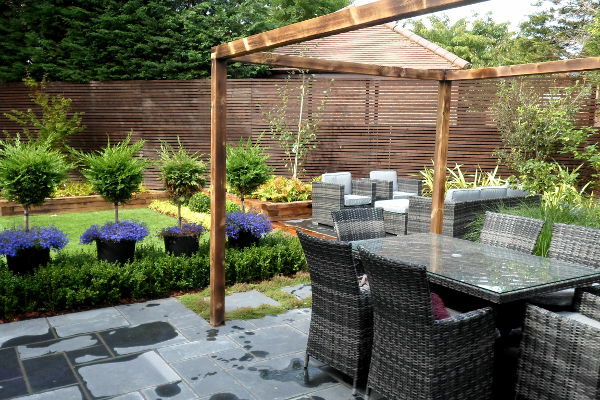 Not only does it create some stunning effects with the wood grain it also helps to protect the timber. 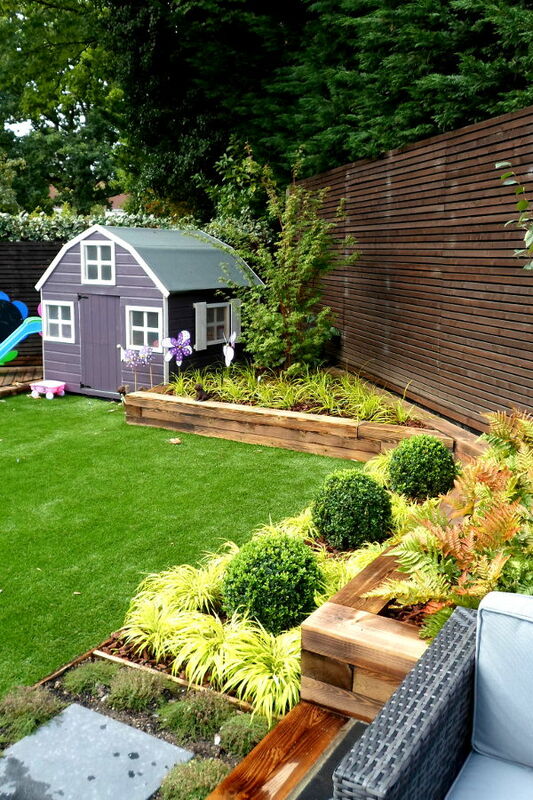 The raised timber beds also make maintenance a much easier task along with keeping plants away from footballs and curious hands .